What's that? Another burlesque show?? You got it! 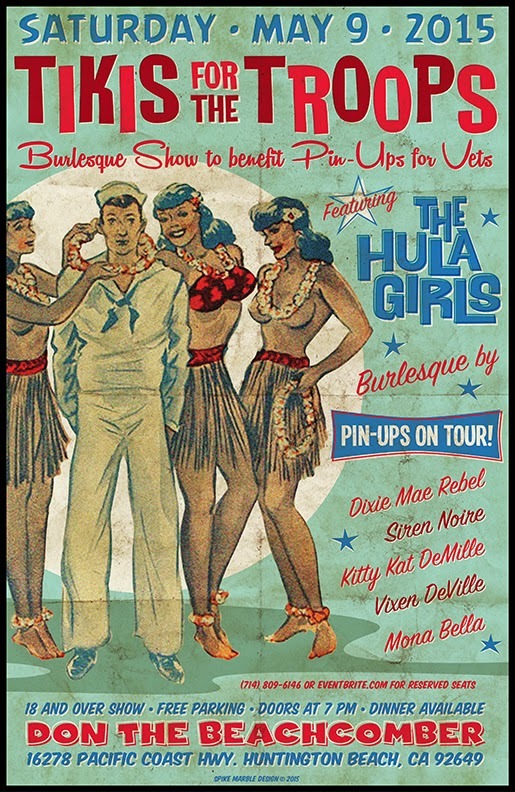 We are producing this show with "Pin-Ups on Tour" who work to benefit the non-profit 'Pinups for Vets'. Great time for a great cause! Here's a video from our last show. Take a look and get tickets to the upcoming show! It'll be a blast! We're 11 days into April and we forgot to flip our Tiki Calendar over! Introducing Miss Renee Olstead, in our home bar, The Breezeway, in front of a tiki that Spike carved. Photographed by Susana Vestige, these are very high quality calendars. You can get a calendar in our store, here! 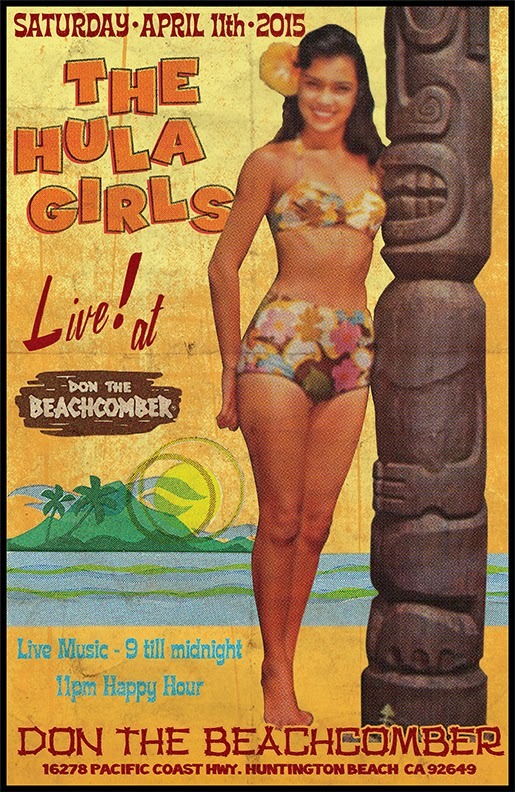 The Hula Girls return to our home bar, Don the Beachcomber, on Saturday, April 11th, 2015! The show is free and we play from 9pm-midnight! There is also a late-nite happy hour that starts at 11pm!! AND... Big Sandy will be performing with his Fly-Rite Boys in the other room. Scroll down for our Viva Las Vegas post! While The Hula Girls didn't play this year at Viva Las Vegas, a bunch of the band DID attend. I have been going to Viva, on and off, since about the sixth one. For the last seven years though, I've kept it continuous. It's just such a time-warp weekend. The whole Orleans hotel and casino is transported to the 1950s and early 1960s with all of the well-dressed Viva attendees. 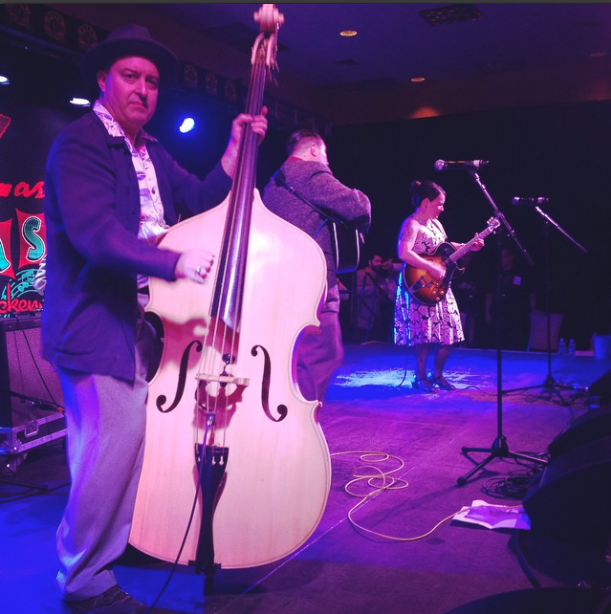 The casino plays rockabilly over the speakers the whole time... hotrods and kustoms line the valet and the parking lots... there are vintage clothing vendors and non-stop live rockabilly bands for four days! It's great fun! Here are some of the tiki-related photos from the weekend. 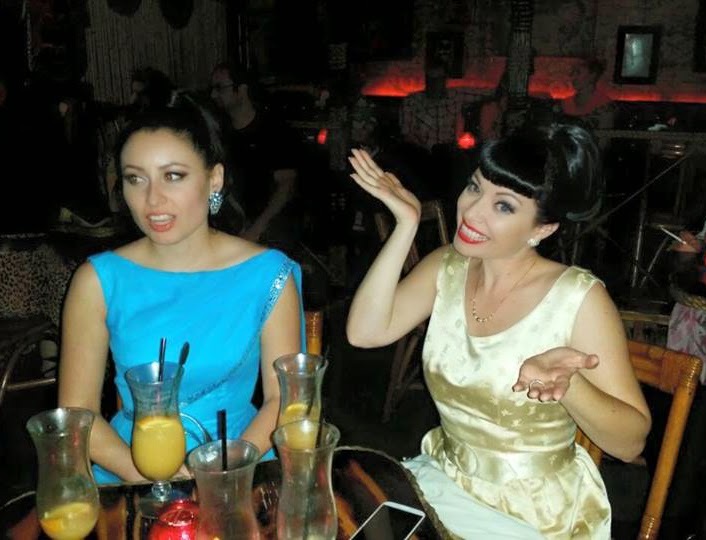 There were a lot of late nights with rockabilly bands too though! You can barely see it on the sign, but this is the now-abandoned Royal Hawaiian Motel in Baker, CA. It used to have a kinda rough tiki at the lobby, but it has since been stolen or something... I had to stop by the motel to show my girlfriend, Miss Ashlyn Coco. 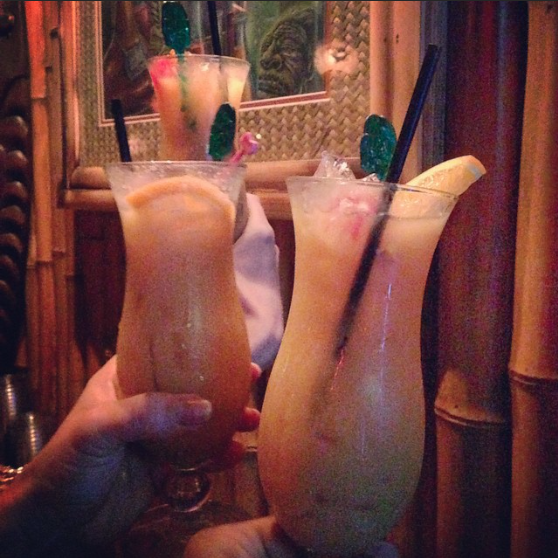 After checking in, we headed straight over to our buddy, P Moss' place, Frankie's Tiki Room! 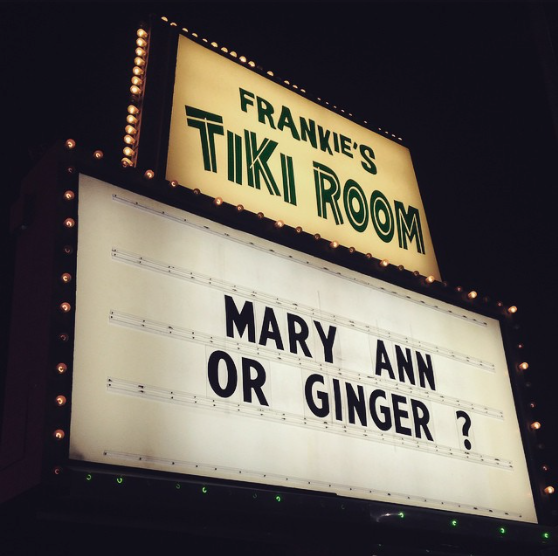 The eternal question.... Mary Ann or Ginger? Frankies is always packed during Viva. 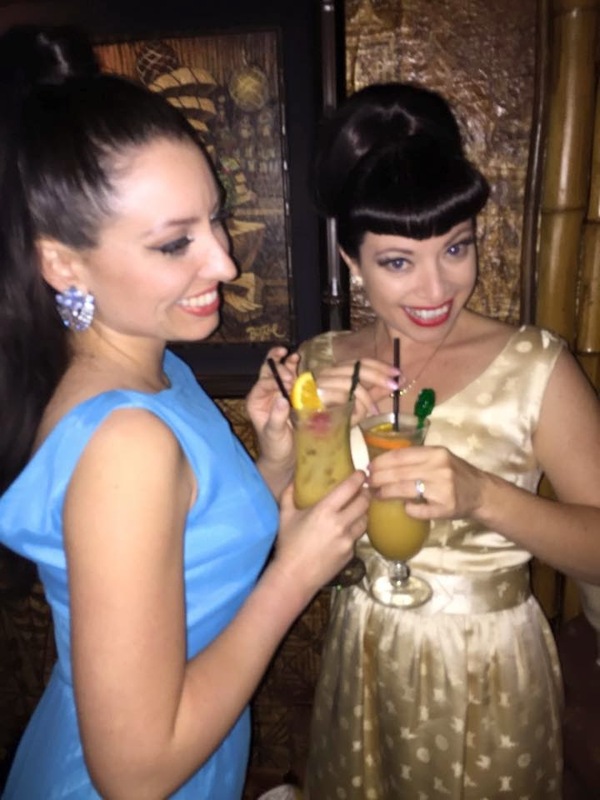 It's the only tiki bar in Las Vegas and does an absolutely amazing job at it! Tonight, it was mostly pinup models and photographers who were there. A big tiki guarding the restrooms! We ordered our signature Hula Girls' cocktail, The Hulabilly Honey, named after our song by that title. Man, will this one knock you out! It's got a bunch of Lemon Hart 151 in it! Tasty! We also ran into our friend and amazing makeup artist, Miss Red Dodge. The next day, we went to the Car Show with our friends, Rick and Lindy Sue. Lindy convinced her husband to wear a lobster shirt so that he could match her lobster purse and dress! One of my favorite kustoms of the show. I have a '61 Econoline, it's only natural for me to like WAY nicer ones than the one that I have. The three platinum blondes were asked by pinup photog, Don Cartier of DC Imagery, to shoot in a pink '59 Cadillac. These girls have all kinds of adventures together. You can follow them at The Pink Collar Life. Good thing that I had worn my vintage Audrie and Neva tie! They were heading off to Frankies while Ashlyn and I were going to go see Tara MiSioux perform in the Burlesque showcase. 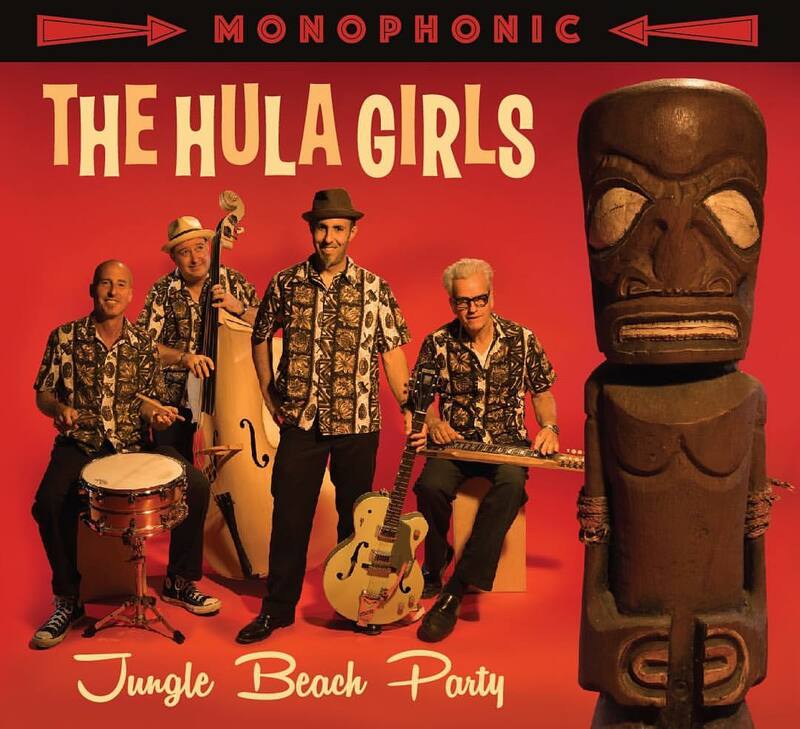 Our girls, looking all pretty with their Hulabilly Honeys! What, did you think they would order something else? Meanwhile, I found our own Mr Shorty Pool, with the great Jittery Jack! You usually see Shorty with us, on steel guitar, but man, can he play that bass! The next afternoon, we headed out to the Tiki Pool Party where these guys were playing. The Cavaleros! 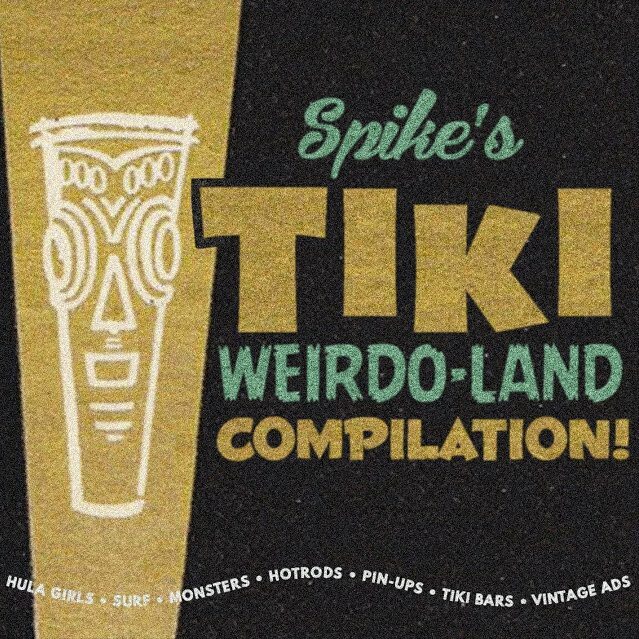 They played really cool Link Wray and obscure surf stuff. I'm always a sucker for a band in a cool matching uniform too. Our good friend and modern pinup photog pioneer, Riley Kern, with fashion designer Barrie of Fables by Barrie. So that's about it.... Until next year Viva Las Vegas!! Maybe The Hula Girls will be back on stage there!